Like most girls, I am a sucker for any product that will promise me silky soft locks and a sweet smell that will stay with me all day. 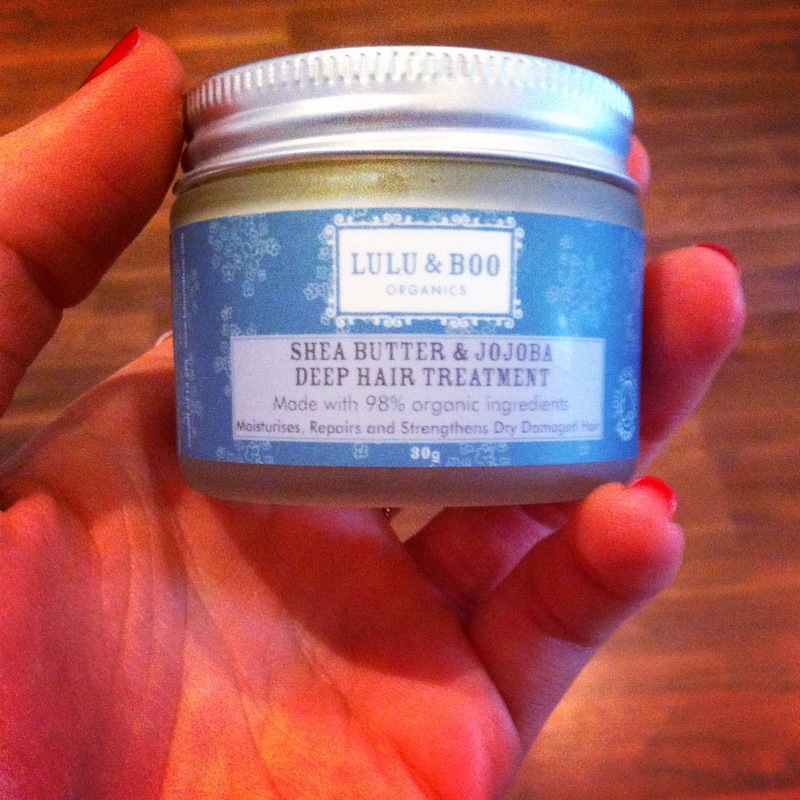 Meet the latest addition to my bathroom cupboard: Lulu and Boo's Shea butter and jojoba deep hair treatment. 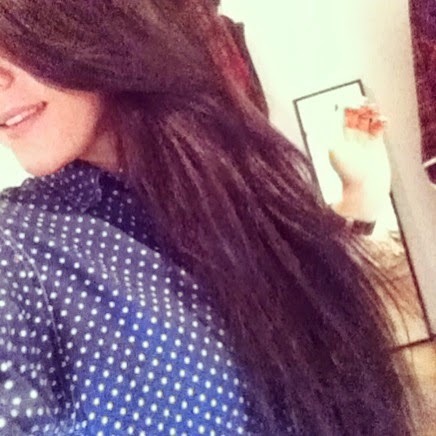 After a sun fueled weekend of messy top knots, my hair was in need of a big, huge conditioner based hug. As hair comes first, I set my alarm 15 minutes earlier, so I could gleefully cover my hair in its sweet oils whilst my coffee was brewing. With top marks for its range of organic ingredients and even more marks for its incredibly amazing smell, my hair was bouncing everywhere and if she had an expression, I know she would be grinning from ear to ear. It says to use a small amount but I've got quite long, thick hair, so I used a big dollop and moisturized it all in the ends, with summer and holidays coming up, I know this is going to be my savior. After using this, I can't wait to invest in some more Lulu and Boo products. Being organic, reasonable priced and WELSH, what more could you ask for? Thank you for introducing me to Lulu and Boo!! My hair will for sure need this too. I love Lulu & Boo products - and can't wait to try their face cream! Also love finding bloggers from Cardiff too :) Following now so can't wait to read more! I am yet to pamper my face in their goodies! Let me know how it is if you get there before me!